Microsoft’s $9.99 a month Xbox game subscription service just got a bit more attractive. 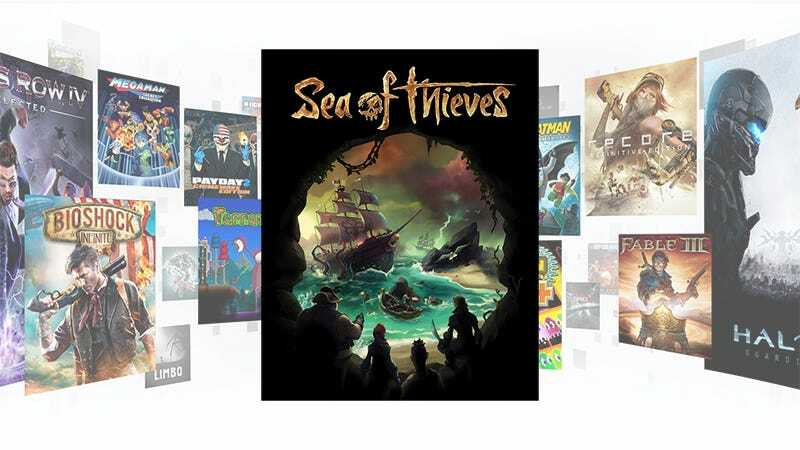 Starting with the March 20 release of Sea of Thieves, all new Microsoft Studios games will be available on the service on launch day. The Xbox Game Pass offers subscribers access to more than 100 games from throughout Xbox history, allowing them to download and play as long as they are subscribed, with an option to purchase games outright at a discount. Announced today via a post on Xbox Wire, the expansion to include new Microsoft Studio games sweetens the deal considerably, giving subscribers day one access to Sea of Thieves, Crackdown 3, State of Decay 2 and other upcoming games like ... well I’m sure they’ve got more games in the works. Maybe some of that Halo or Forza.